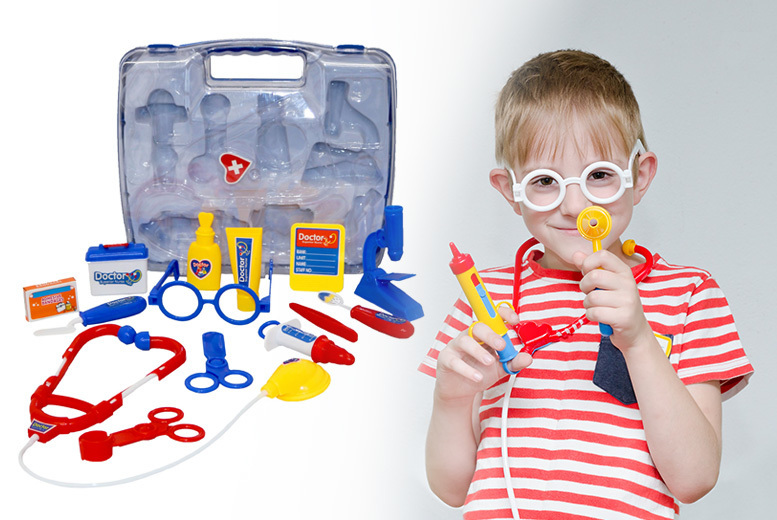 Get a children’s doctor toy medical set! Package includes glasses, forceps, microscope, syringe, medical kit, ointment tube and tweezers. As well as a stethoscope, name card, scalpel, medicine bottle, scissors, mirror, pill box and badge! Perfect for educational and pretend play purposes. Includes a plastic carry case to take wherever they may go! Let their imaginations and aspirations run wild!